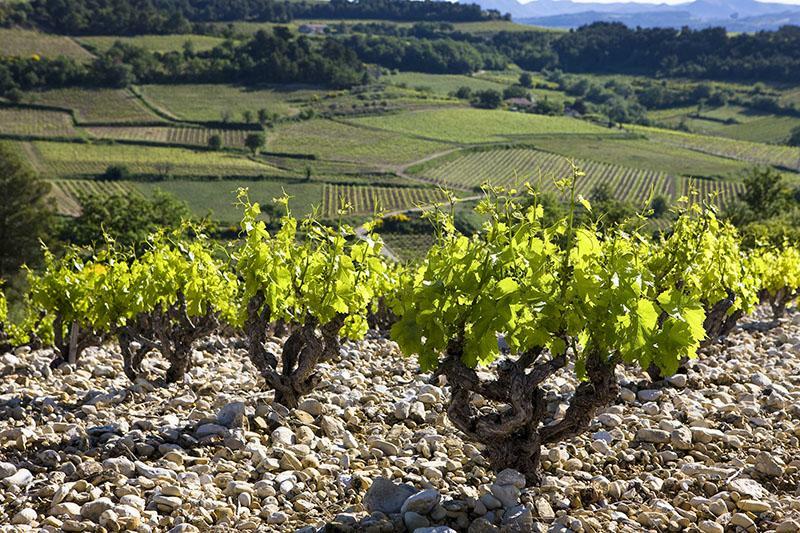 Located in the northern part of the Vaucluse, the soils are mostly on slopes with limestone and rocks, medium alitude (until 350 meters). As for Gigondas, grapes ripeness usually comes later in late september. Here the soils are poor and the mediterraneen climate allow to produce concentrated and well balanced grapes. The place is renown to produce wines with strong identity. 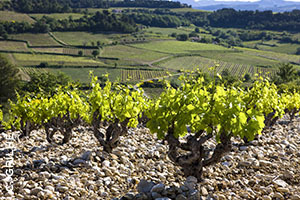 From “Côtes du Rhône Villages” classification, RASTEAU was up-graded to Cru level since vintage 2009. Completed by Syrah and Mourvèdre. Fermentation and ageing in concrete vats. Deep red garnet colour. Aromas of fresh red and black fruit. On the palate, the richness of the tannins harmonizes with the fleshy of the wine. The finish has a good grip, it is long with spices notes, menthol and chocolat typicity. Best between 1 and 6 years.To be poured at 17°C.